Jiksopokpo Waterfall is one of the best gems in Byeonsanbando National Park, Buan County, Jeollabuk-do, South Korea. It is a charming waterfall created by the fresh streams that meet above the rocks that emerged millions of years ago. Jikso Waterfall’s structure is being studied as part of the geological sites in the park. The falls is about 30 meters high thundering down to its refreshing water basin. 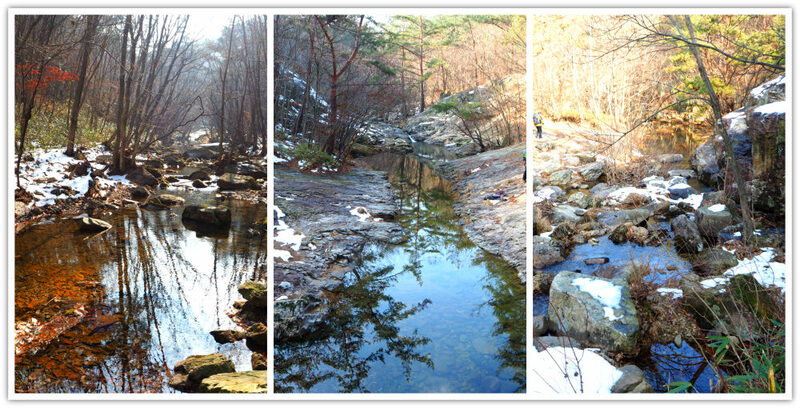 It is about 4 kilometers from Naesosa Temple, but approachable from other points as well. 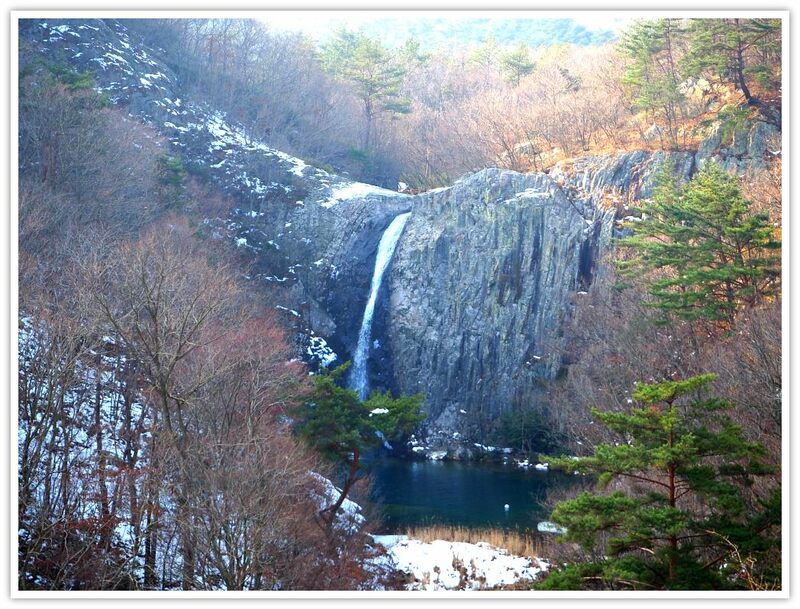 I reached and had seen the astounding Jiksopokpo Falls by crossing over the mountain ridge of Byeonsanbando. 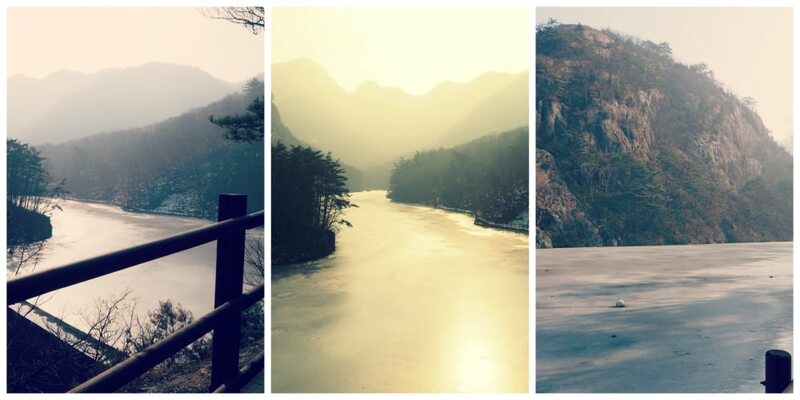 I started from Namyeochi Pass, reached a couple of peaks, dropped by Wolmyeongam Hermitage, and continued down with fantastic view until the flat areas leading towards the falls. Regardless of your starting point, you will have amazing views of the mountains, rocks of various formations, a panorama of the West Coast, among other natural beauties. Who Can Make It there? Anybody who is willing and physically fit (I mean, generally healthy) can get there with no trouble at all. Since most of the challenging points have steps and railings with metal (or plastic ropes) chains, it is easier to do it. The hike does not demand an expert mountain climber. You only need proper mountain hiking boots (shoes) and suitable seasonal clothing. Of course, other hiking gears (such as hiking sticks) could make your hike easier. Having had experienced exploring the area, I don’t recommend children below 10 years old to try. The hike could be physically demanding, and very small kids would not have developed necessary hiking skills yet. Just a friendly advice! 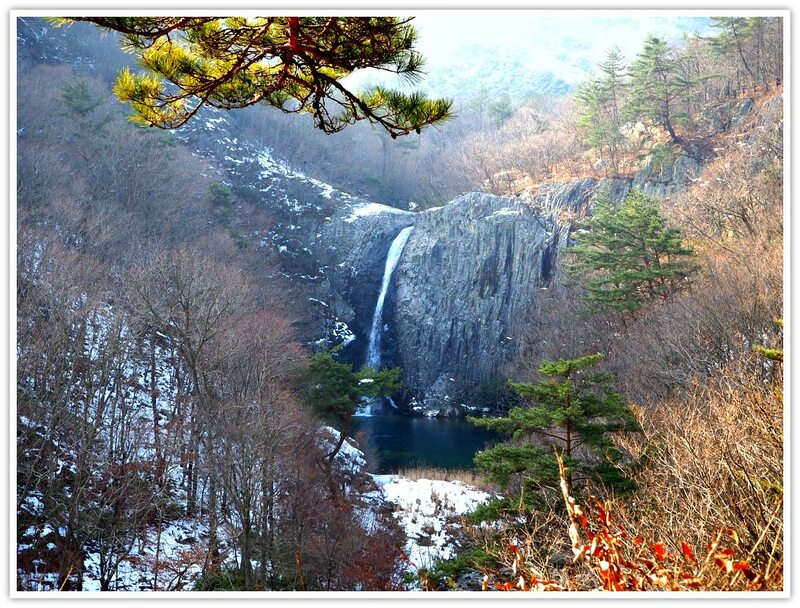 Based on my experience and other expert recommendations, you may approach Jikso Falls (by the way ‘pokpo’ can be translated as ‘falls’ or waterfall in English) from two places: Namyeochi Pass & Naesosa Temple (as mentioned above). You only need to reach this place and start your ascent right away. From here, it will take around 2 or more hours to reach Jiksopokpo Waterfall. 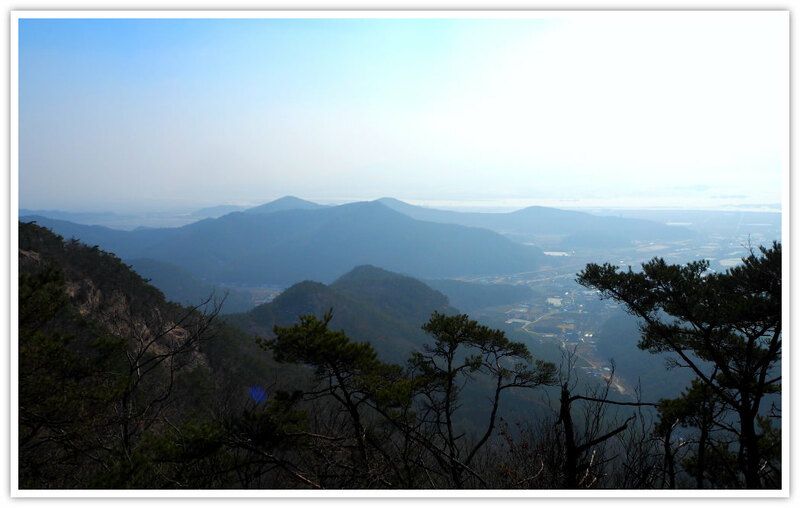 Come to Namyeochi Pass from Byeonsan (bus stop) either by hiking or by private vehicle. There is a parking space at Namyeochi area. I came here by hiking from Byeonsan bus stop. It took me around 30 minutes on foot. (It should be less if I didn’t take photos along the way). Come to Naesosa Temple area where the bus terminal and other vehicles can park in a designated parking space for a fee. You can reach Naesosa by taking a bus from Buan County near Buan Bus Terminal (note: This terminal serves intercity travels). 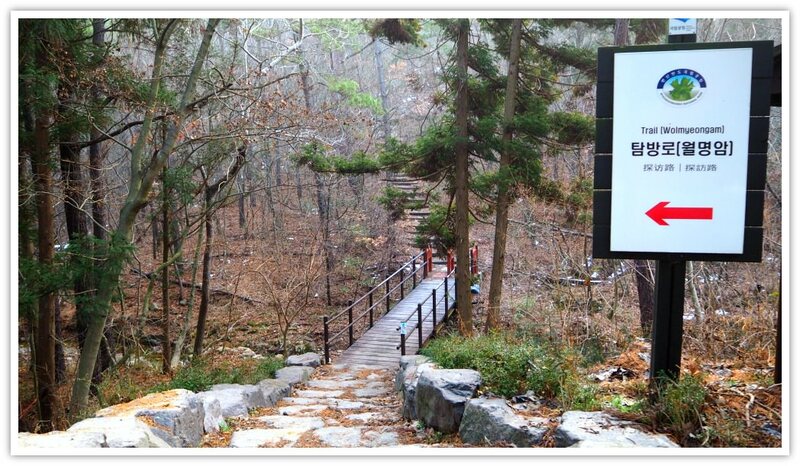 You need to pass through the entrance gate of Naesosa Temple then follow the signpost that points to Jiksopokpo Falls. Don’t worry about getting lost in the woods because there are signposts at most turning points. Entering the waterfall area is free. And it is open all-year-round. But I don’t think anyone is allowed to camp out or visit the place at night. Also, if you don’t know yet, aside from camping out, visitors are not allowed to make a fire (or cook anywhere in the mountains), smoke cigarettes, litter, or do anything that could or might harm the nature. Yes, washrooms are available, usually, at the entry points to the park. This is located close to the bus terminal area. If you are within the temple area, you can also use their washrooms. Water is free at the temple, but not outside it. Yes, you can find almost everything you need for your hike, or after your tedious but fulfilling hike. You can even purchase a pair of boots, scarfs, sunglasses, and anything you can use for your day’s adventure. The prices are reasonable! Most mountain hikers usually spend time sharing their stories after the day’s journey in a restaurant just outside the temple ground. I just enjoyed looking around since this was my first time to be in the area. It was fun! The following sites and attraction destinations are recommended by the local park authorities of Buan government. That is because they are the best and popular ones. 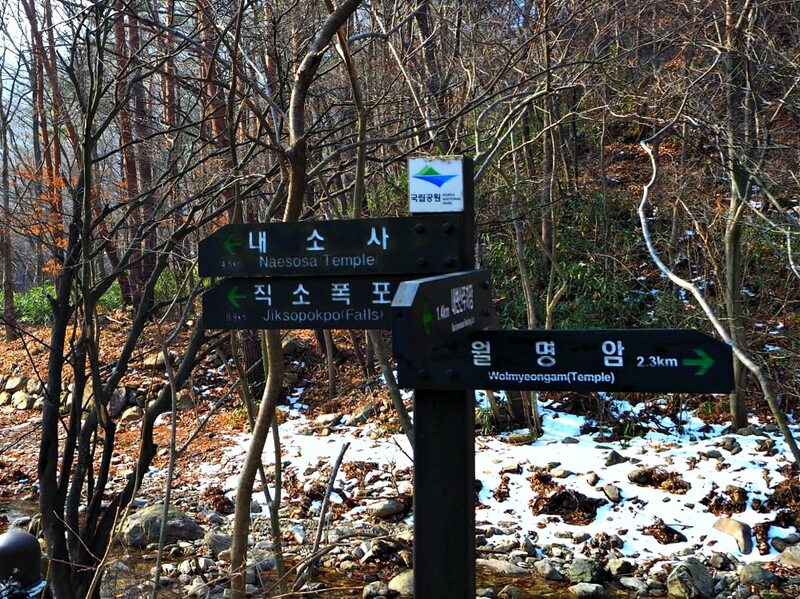 Indeed, there are more to explore and see in Byeonsanbando National Park. 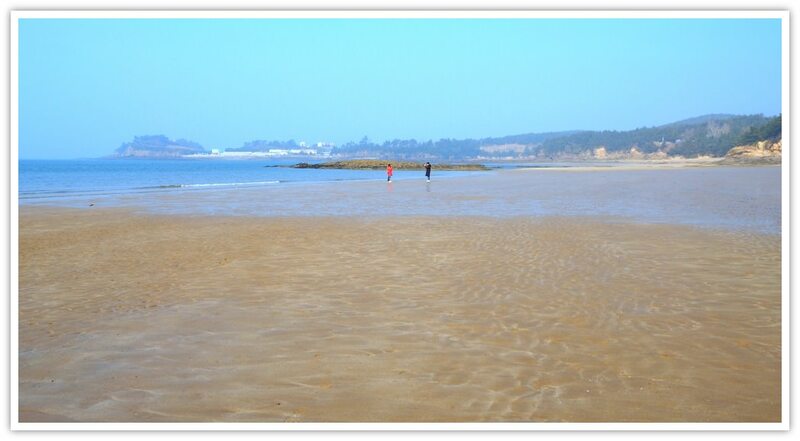 You will need at least two full days to roughly see most of the popular tourist attractions. But if you want to ask anything my impressions and experiences of the park, please email me and will do my best to respond. Hope this article has been useful to your search. Please, enjoy and be safe on your journey!